Researchers say that less than 5% of all Christians ever lead someone to the Lord. This message exposes some of the common reasons, such as lack of confidence, consistency, concern, and/or competence. Listeners will learn a three-piece plan for effectively sharing the Gospel. A chain reaction is defined as a series of events, each caused by the previous event. Your decision to follow Jesus was definitely an event! What if your “event” led others to have an event of their own? What if theirs led to more? 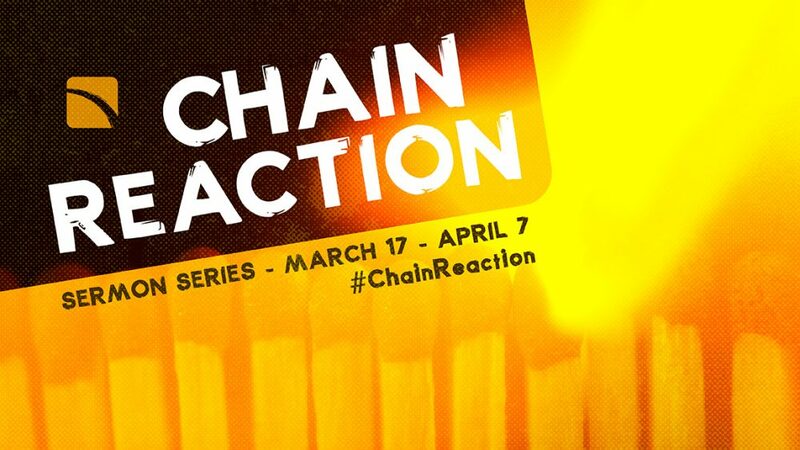 What if we could create a chain reaction of meeting Jesus in our world? What if God used you to start it? This series of messages will motivate and empower you to do just that using the formula High Potency + Close Proximity + Clear Communication = Maximum Impact!